Looking for the best Free WordPress Themes for you? Congrats, you're in the right place. Click Here to jump directly to the list of best free responsive WordPress themes in 2019. I'll help you pick the best WordPress theme that will help you build the most spectacular and SEO Optimized website (without having to spend a single dime of your hard-earned money). WordPress as a blogging platform is very flexible and easy-to-use. There are a plethora of free WordPress themes and plugins that make your website experience seamless and beautiful. 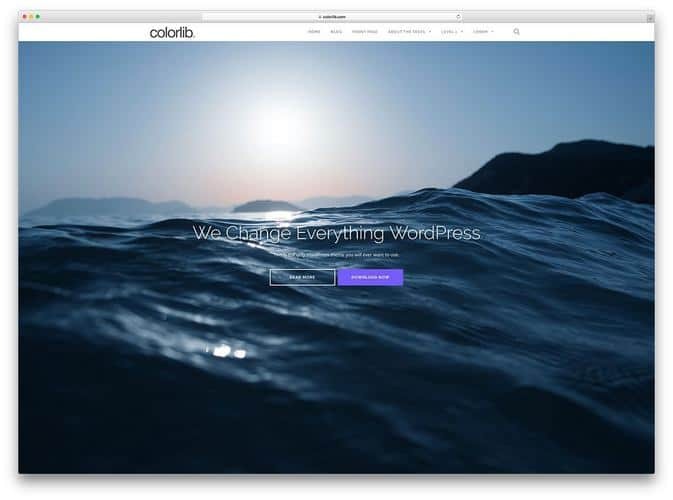 If you're just starting fresh or simply don't want to invest in a premium WordPress theme (which is absolutely okay) there are literally 1000s of beautiful and professional WordPress themes that are free to download. No matter what niche your blog or website is, you'll find plenty of free responsive WordPress themes and templates to get going. hoosing the best one out of 1000s of themes isn't easy and you don't have to waste your time digging in for the the best WordPress blog themes that match your website requirements, and branding. That is why, I have listed the best free responsive WordPress themes and templates for 2019 that you can download, setup easily and get started without having to pay a single dime. If you want a affordable yet reliable WordPress hosting that also has a good customer service you can count on, Bluehost is definitely what you should go for. It is officially recommended by WordPress.org which is a rare feat. Click the button below to get free domain with Bluehost hosting. While free themes are always a delight, have you ever wondered why on earth would developers release a WordPress theme (that cost them time and effort) for free of cost? Free themes are often a great way to up-sell users to upgrade to a premium theme or the fully loaded, feature-rich version of the same free lite theme. Some developers and theme shop use free themes as a way to say thanks & show courtesy to the WordPress community. Some theme shops use free themes as an optin or lead magnet in exchange for subscribing to their blog. Often, free themes are a great method to get free publicity and marketing since they catch the eye of he blog owner's readers who might also want to use that theme. Branding, a free theme with lots of downloads and good ratings is good testimonial for the brand that might also be selling premium or freemuim themes. Should You Use a Free WordPress Theme? Are Free Themes Reliable? The safety and reliability of Free WP themes is always a concern for users, but as far as you're downloading a free theme from the official WordPress repository you are safe from such worries. 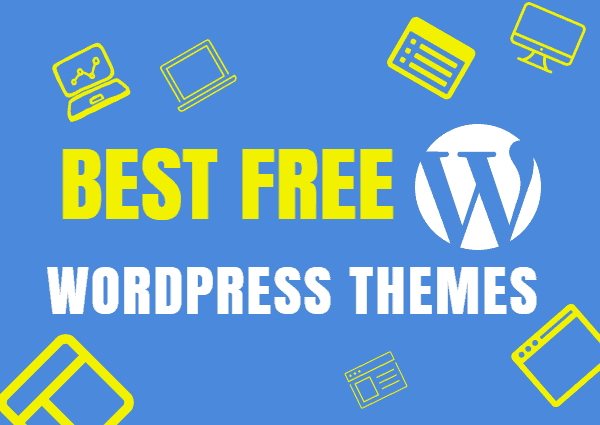 Similarly, if you want to download free WordPress themes from premium theme shops you can relax that they are safe and secure to use. Most free WordPress themes are completely SEO optimized, come with optimized ad spaces and are decently customizable so that should be all you need. In this article, I'll list some of the best free SEO friendly WordPress themes for 2019 so that you can start your website without having to worry or search for any other free SEO WP Themes ever. Excited to view the list of best free WordPress themes for 2019? 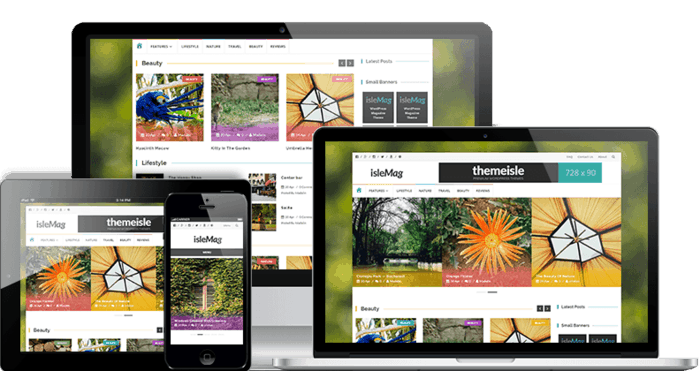 IsleMag theme by Themeisle is one of the best free WordPress themes of 2019 that you can have. It flaunts a fresh colorful look and is optimized for ad spaces to maximize your ad revenue. If you're looking for a free WordPress Magazine theme for your news or technology blogs, this is the best you can have. Islemag is completely optimized for SEO, has special schema markup that makes it best suited for publishing reviews etc. If you are looking for free WordPress themes for your bitcoin or cryptocurrency niche blogs, bitcoin is perfect for you. Bitunit Lite WordPress theme is a modern bitcoin WordPress theme and can also serve as a business or professional theme. Bitcoin website template is fully responsive, customizable to the core, and supports the cryptocurrency vibe all around. The Bit Unit lite bitcoin free WordPress theme comes with contact forms and is WPML ready. Perfect for starting that cryptocurrency blog that you dream of. Monstroid 2 theme is one of the most selling WordPress themes out there and today I present to you the lite version of the theme as a SEO friendly, customizable WordPress theme. 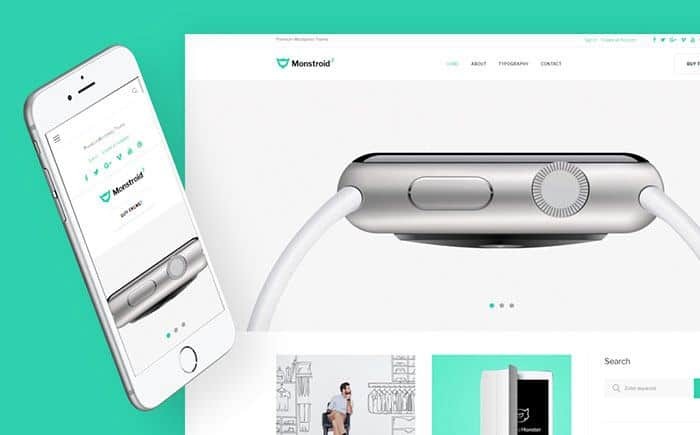 Monstroid 2 Lite comes with an elegant typography option that adds a personality to your website. This is a clean coded free website template that is HTML5 ready and is responsive in nature. It is the best WordPress theme for lifestyle and fashion blogs but you can flawlessly use it as your personal blog theme, fitness website theme or business theme. It has MailChimp ready templates which makes it one of the best free email lead generation WordPress themes. Mailchimp ready template to boost email signups and lead generation. Zerif lite is one of the best free single page WordPress themes. It is simple to use, feature-rich theme which is why it is one of the top 10 most popular free WordPress theme on the WordPress official theme repo. Zerif lite is a classic and elegant looking free one page WordPress theme that is optimized for speed, SEO friendly coded, & has mega menu support. Zerif lite is a perfect theme for business website or to create a freelance portfolio website. 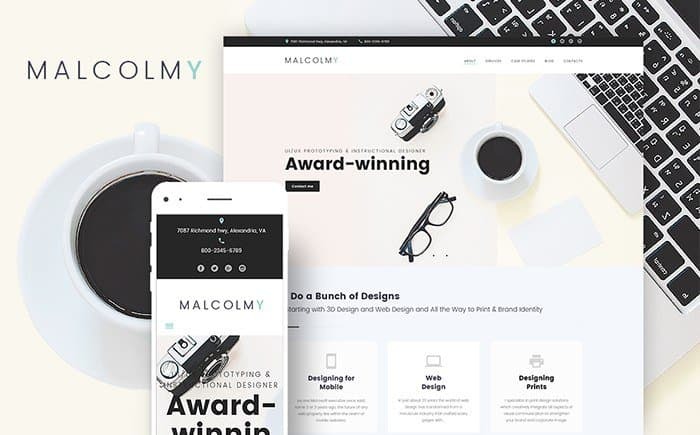 If you're a freelance designer, logo maker or simply need a free portfolio WordPress theme to showcase your talent, MalcomY is for you. MalcomY lite theme comes with Template Monster's inbuilt page builder to design custom page layouts, supports custom widgets and has well-coded portfolio section called cherry projects. The portfolio section has a variety of layouts and filters to give your freelance portfolio the shape it needs. Looking for the best free WordPress theme for Therapy and medical counselling websites? 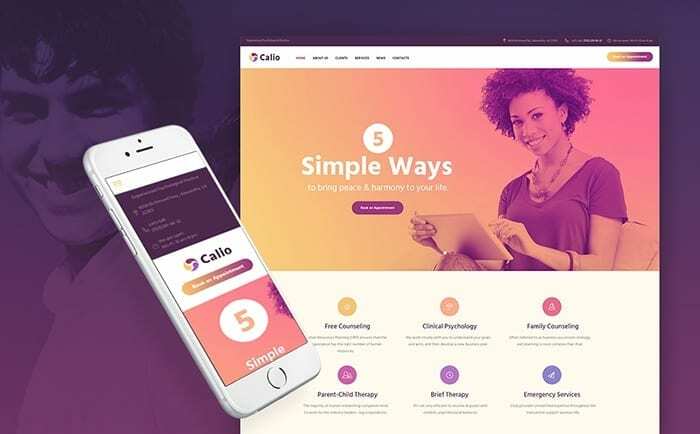 Calio by Template Monster features an intuitive carousel and website slider that can make your medical services website a bit more interactive. You also get related posts options, custom backgrounds, calendar and Google maps option to show your physical location. If you're selling therapy or medical counselling services in the web, you can easily use Calio to give your service website the look and feel you expect. Testimonials feature to showcase your quality service and happy client base. Multilingual support so that you can get started irrespective of your language. Shapely is one of the top downloaded free WordPress theme for services or business websites. It has a very premium look with 2 call to action buttons and a hero section to catch the attention and convert your visitors. Shapely is 100% mobile responsive theme with retina ready graphics and stunning design and supports a wide variety of vector icons to customize your site. Like Zerif Lite listed above Shapely makes an awesome free one page business website template that supports woo-commerce and is translation ready. Check out Divi theme review: A true multipurpose WordPress theme! Want to setup a website for your book selling? FreeBook is a free landing page theme for selling books, giving them away for free lead generation and more. You can of course use the theme as a one page website to sell anything and not just a book, though. Freebook landing page WordPress theme comes with 10+ header and footer layouts to choose from. If you don't want to invest heavily in setting up a book selling website, get a free domain with hosting from Bluehost (it is cheap and reliable), plug this theme and you're good to go. Catwalk is a free WordPress theme for fashion and modelling agency websites. Catwalk features hero sections, has a page builder that let's you showcase your pricing and services with elegant pricing tables, content modules for easy customization and post carousal for displaying your recent blog posts. It is perfect for fashion and beauty blogs that need a stylist beauty blogger template. 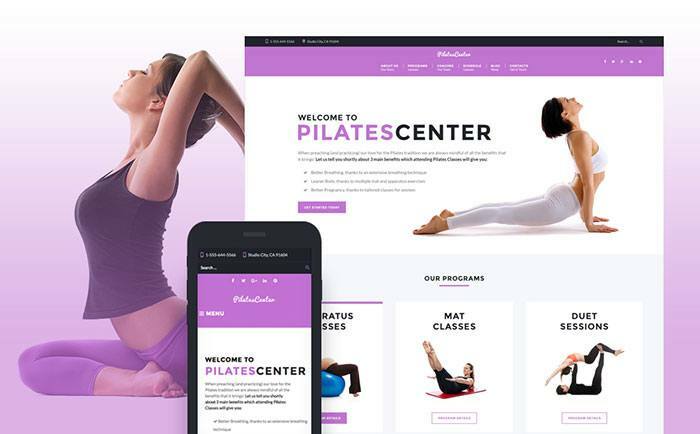 Pilates center is a fast loading WordPress theme for sports and fitness niche blogs that supports multiple layout options, stylized hero section and is free to download. If you book fitness or sports clients via your website, you can do so using Pilates Center's free appointment manager plugin. The plugin enables you to book meetings, appointments at your own ease without giving your clients a hassle for their time. You also have the time table plugin to seemlessly create single or multiple time tables for your events, classes and more. This is essential when you are coaching clients that need a fixed regime for their benefit. Loving all the 10 best free responsive WordPress themes so far? The next five free WordPress themes will blow your mind away! Newspaper X as a free multipurpose WordPress theme not only surprises us in being one of the best SEO friendly WordPress theme but also popular WordPress news theme with strategic ad space to increase CTR. Newspaper X, apart from it's grid layout, also features an intuitive top search bar and social media sharing buttons on the top bar to boost social sharing. 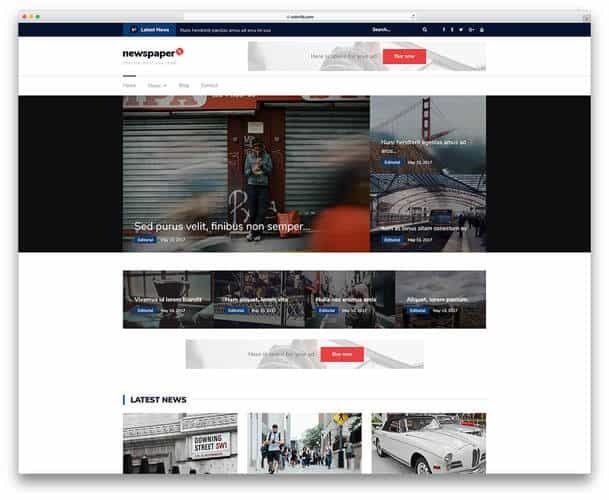 Newspaper X is the best free WordPress theme with advertising space and AdSense ready for magazine and viral news site or blogs. 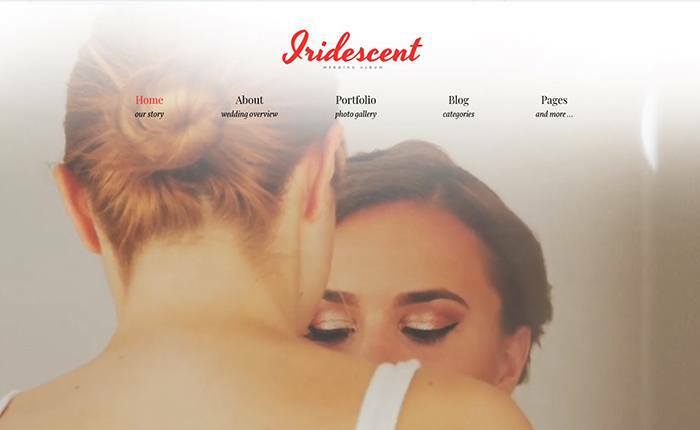 Iridescent lite is a free wedding album website template for WordPress blogs that you can use to give your memories a place to live. With Iridescent lite's visual builder options you can build various layouts and pages without having to touch the codes and then save them for your future use. The post carousel, Template Monster's gallery setting can help you place your pictures and matrimonial images in the best possible way. Anariel lite is a very stylish and modern WordPress theme for lifestyle blogs. The elegance and premium look of this theme wouldn't allow your readers to guess if this was a free theme. Elegant fonts and typography, feminine font and color scheme makes it perfect as a beauty blog or personal blog theme for girls or mom blogs. Anariel Lite comes with a stylish sidebar option that has free email optin form for lead generation. Marketeer is a free eCommerce WordPress theme that helps you sell digital products directly on your website for free. With Marketeer comes the free easy digital downloads plugin that let's you allow your customers download your digital products like fonts, eBooks, music files, graphics etc without any hassle. It comes with a free coupons page facility to sell or give discounts off your products to your readers. The premium version of the theme let's you have a countdown timer that uses scarcity marketing technique to boost your sales. JustBlue is a perfect free WordPress theme for personal blogs. Justblue is optimized for speed, SEO WP theme with dominant ad space to maximize revenue. The personal blog layout is perfect for any blogs in whatever niche you might be working on. It is a highly customizable theme where you can change the background color, image or upload your own version and has support for premium looking social media widgets, tabbed widgets etc. I hope you liked our curated list of best free WordPress themes and website templates. We have listed the best free responsive WordPress themes for every need may that be personal blog themes, themes for wedding websites or selling digital products o your site, you've got your back covered. Did I miss any of your favorite free WordPress theme? Please list them on the comments. Which of these free responsive WordPress themes for 2019 is going to be the one you'll use on your site? List your favorite best free WordPress theme below so we can visit your site and give a virtual high five. 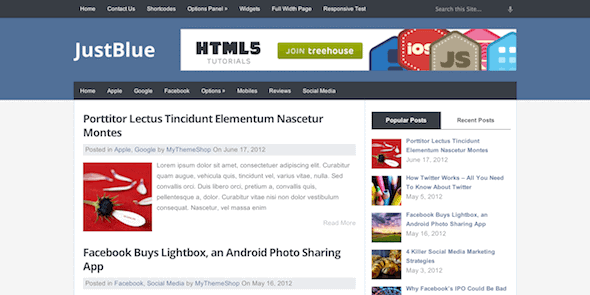 Thanks for sharing these free WordPress themes. I am planning to create a PBN for myself will use these themes in that.